The beaver, the second largest rodent in the world, is well-known for its wide, flat tail, used for slapping the surface of the water to warn other beavers of approaching danger. 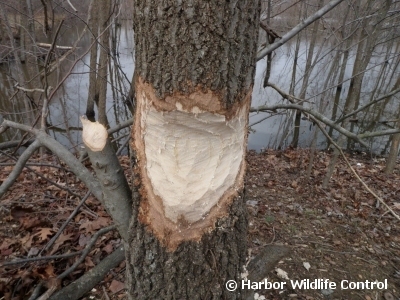 Trees provide a beaver's favorite winter food — bark and leaves. In summer other vegetation, especially aquatic plants, make up their diet. Many that have not seen a beaver will often mistake a groundhog for a beaver living under thier shed or deck. Beavers are known for their natural trait of building dams on rivers and streams, and building their homes (known as "lodges") in the resulting pond. Beavers also build canals to float build materials that are difficult to haul over land. They use powerful front teeth to cut trees and plants that they use for building and for food. 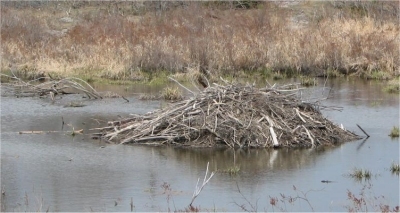 In the absence of existing ponds, beavers must construct dams before building their lodges. First they place vertical poles, then fill between the poles with a crisscross of horizontally placed branches. They fill in the gaps between the branches with a combination of weeds and mud until the dam impounds sufficient water to surround the lodge. They are known for their alarm signal: when startled or frightened, a swimming beaver will rapidly dive while forcefully slapping the water with its broad tail, audible over great distances above and below water. This serves as a warning to beavers in the area. Once a beaver has sounded the alarm, nearby beavers dive and may not reemerge for some time. Beavers are slow on land, but are good swimmers that can stay under water for as long as 20 minutes. The North American beaver's preferred food is the water-lily (Nuphar luteum), which bears a resemblance to a cabbage-stalk, and grows at the bottom of lakes and rivers. Beavers also gnaw the bark of birch, poplar, and willow trees; but during the summer a more varied herbage, with the addition of berries, is consumed. These animals are often trapped for their fur. During the early 19th century, trapping eliminated this animal from large portions of its original range. However, through trap and transfer and habitat conservation it made a nearly complete recovery by the 1940s. Beaver reintroduction in British Columbia was facilitated by Eric Collier as recounted in his book Three Against the Wilderness. 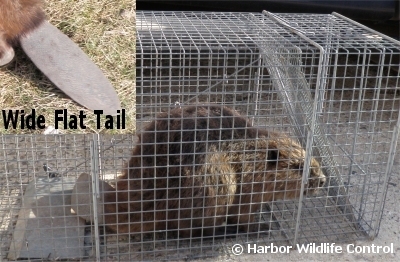 Beaver furs were used to make clothing and top-hats. Much of the early exploration of North America was driven by the quest for this animal's fur. Native peoples and early settlers also ate this animal's meat. The current beaver population has been estimated to be 10 to 15 million; one estimate claims that there may at one time have been as many as 90 million. The ponds created by well-maintained dams help isolate the beavers' homes, their lodges, which are created from severed branches and mud. The beavers cover their lodges late every autumn with fresh mud, which freezes when the frost sets in. The mud becomes almost as hard as stone, and neither wolves nor wolverines can penetrate it. The lodge has underwater entrances to make entry nearly impossible for any other animal (however, muskrats have been seen living inside beaver lodges with the beavers who made them). A very small amount of the lodge is actually used as a living area. Contrary to popular belief, beavers actually dig out their dens with underwater entrances after they finish building the dams and lodge structures. There are typically two dens within the lodge, one for drying off after exiting the water, and another, drier one where the family actually lives.